First published in 1973, Gilbert’s controversial account of Aboriginal affairs paints a disturbing image of the impact of the colonisation of Australia and the ongoing problems faced by the Aboriginal people. 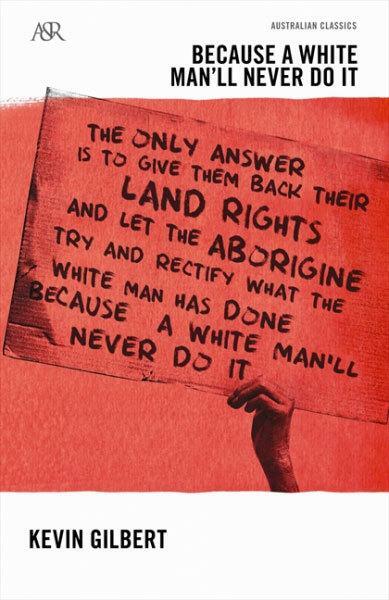 The book poses a solution directly addressing what Indigenous people really want: land, compensation, discreet non-dictatorial help and, most of all, to be left alone by white Australia. Gilbert’s vivid, personal and widely shared experiences of race relations in Australia formed the basis of his long and enduring struggle for Aboriginal rights up until his death in 1993. Written with the hopes to provoke a galvanisation of his People, Gilbert brings together the voices and memories of various Aborigines. Demonstrating his vision for justice and equality, Gilbert’s arguments are still immensely significant and relevant to both Aboriginal and non-Aboriginal Australians today.